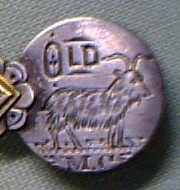 detail from bar pin. 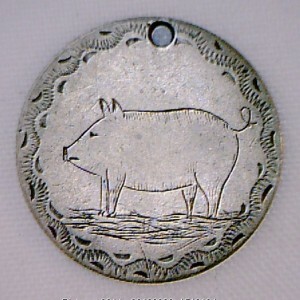 Pig on 1877 dime. 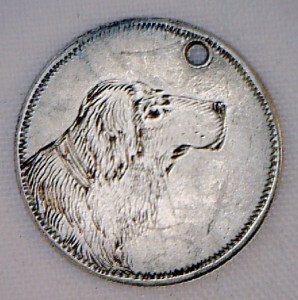 Dog on 1877 dime. 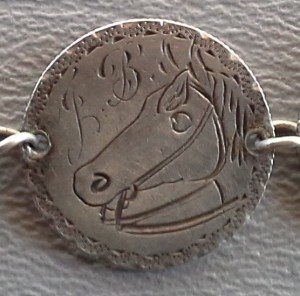 Horse with reins.